Officials with Massachusetts-based East Coast Seafood say that, with the closure of its lobster shipping facility in Groton, Connecticut, it plans to "to increase production capacity, optimize the production process, and enhance labor needs" at its processing plant in Gouldsboro, Maine. A seafood distribution and processing firm says it plans to increase production at its plant in Gouldsboro after closing a shipping facility in Connecticut. 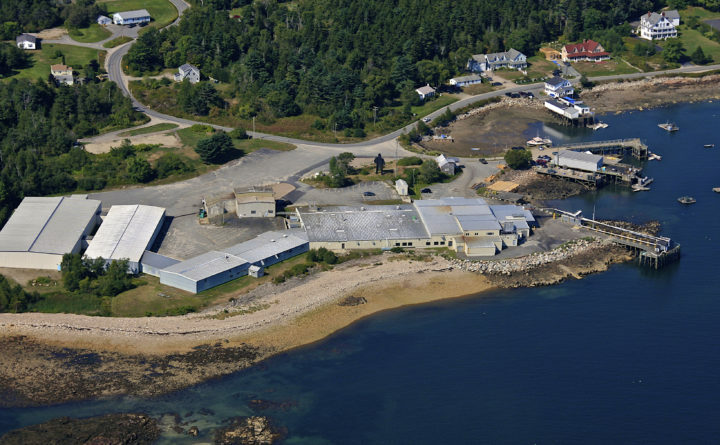 Garbo Lobster, a subsidiary of East Coast Seafood Group, announced this week that it plans to shut down the Groton live lobster packing facility on Thursday, Jan. 17. The company said Wednesday that most of the capacity at the Groton facility will be shifted to its Maine Fair Trade Lobster processing plant in the Gouldsboro village of Prospect Harbor. East Coast Seafood and Garbo Lobster acquired the 100,000 square-foot plant in 2012, after it had functioned as a sardine cannery for more than a century and another lobster company ran it briefly as a lobster processing plant. The release did not indicate how many jobs the company may add at either the Gouldsboro site or the site in Massachusetts, which is located in New Bedford. The company has not said how many people are expected to be laid off with the closure of the Groton facility, which according to the Garbo website was built and opened in 2001. A spokeswoman for East Coast Seafood did not respond Wednesday to a request for additional information about the company’s plans. East Coast Seafood has said that in 2013, the first year it operated the Gouldsboro plant, it had 130 employees working there. A smaller portion of the Groton facility’s workload is expected to be transferred to the New Bedford facility, where the company said it has a new “state-of-the-art” lobster processing line. Garbo also owns and operates a 10-acre storage, packing and shipping facility for live lobster in Hancock, Maine, less than 20 miles away from the Gouldsboro plant, and another live lobster storage and distribution facility in Yarmouth, Nova Scotia.